KUCHING: The construction sector recorded the highest death rate in Sarawak with 24 deaths from 47 cases of fatal accidents at workplace last year. 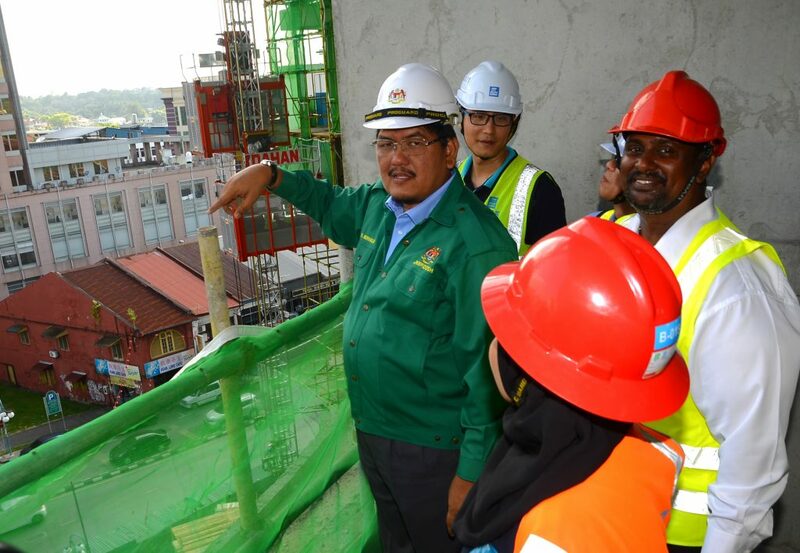 According to the State Department of Occupational Safety and Health (DOSH) director Dr Nor Halim Hasan, of the total number of accidents, six cases of deaths were due to falling from buildings under construction. Nor Halim greeting the workers. He said in 2018 three construction companies were charged in court and 26 compounds were issued to eleven workplaces. “The total amount of the penalty collected was RM 70,000,” he told the media after he officiated at the Majlis Tamat Operasi Tapak Binaan (closing ceremony of the construction site) here yesterday. Nor Halim (centre) speaking at the press conference. 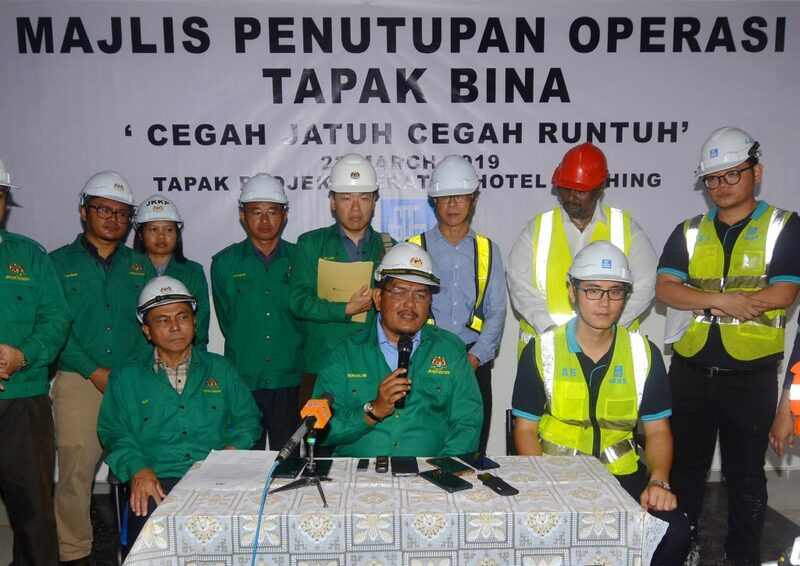 The state launched the operation Cegah Jatuh, Cegah Runtuh in construction sector from Feb 25 to March 24, which focused on high rise buildings and concrete works, Nor Halim said. He said a total of 19 construction sites throughout the state were inspected during the operations, where five sites were found sophisticated while 12 others received notices to stop works. 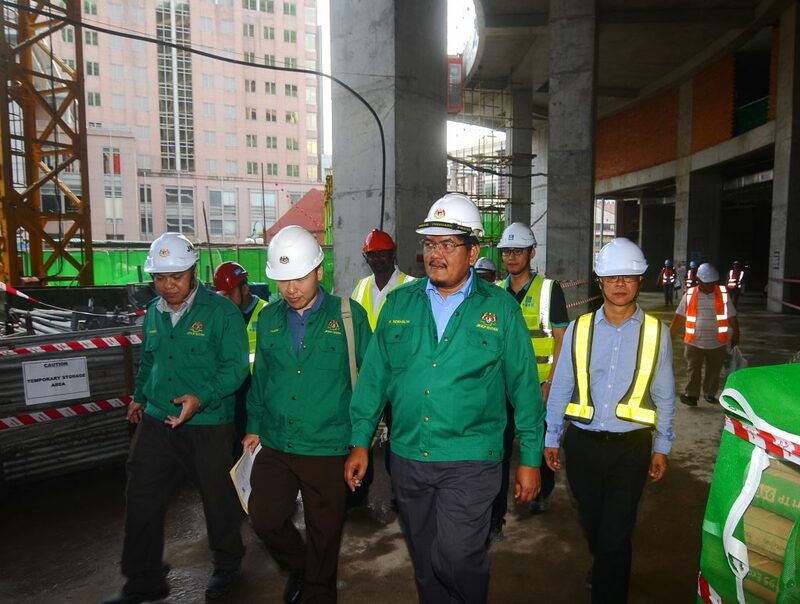 Nor Halim and others inspecting at the construction site. There were 81 notices issued to improve their safety features for various offences under the Factory and Machinery Act 1967 and Occupational Safety and Health Act 1994. According to him, continuous monitoring at the sites will also be carried by the Safety Patrol Unit (SPU) to ensure compliance with safety and health aspects at the workplace. For the record, he said workplace accidents in the country in 2017 recorded 116 cases per day, an equivalent of 42,513 cases a year, while for fatal accidents there were two cases per day, an equivalent of 711 cases a year. He said it would be a big loss to employers, families of employees and the country when accidents involved deaths occurred. Thus, he urged all construction industry players, namely clients, designers and builders to carry out their respective responsibilities to ensure the safety and well-being of their workers at the workplace. He said although accidents at workplace are something unpredictable, this should not be the excuse for employers to neglect any safety aspects at their respective workplaces. 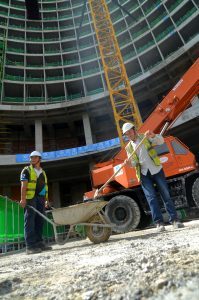 Two workers carry out their task at the construction site. Grim Reaper stalks work sites 0 out of 5 based on 0 ratings. 0 user reviews.